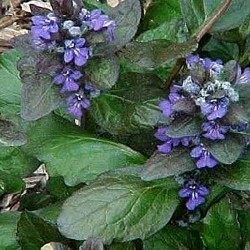 Ajuga There are 6 products. 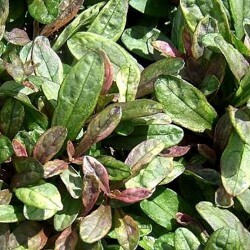 Evergreen ground cover, pale green plume of white, purple and pink. Purplish blue flower spikes. Rapid growth. 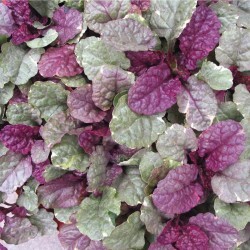 Conduct pot to associate with purple heuchères. Drained soil, fresh. 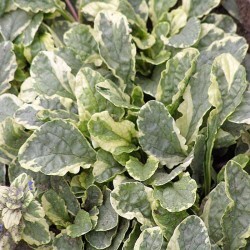 Vigorous groundcover evergreen. 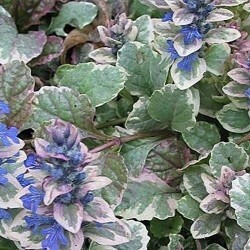 Large bronze leaves dominated by purple flowering spikes wholesale ultramarine blue. Solid or perennial pots as stooges dheuchères. Fresh soil, humus and drained. Ajuga small compact and bushy. Small elongated leaves khaki and chocolate. Abundant flowering in short spikes of violet-blue flowers. Use: between the stones in the wall crevices, along and hotpot. 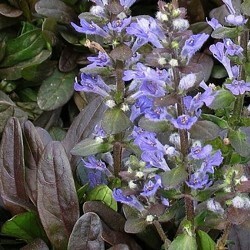 Small ajuga compact and bushy. Small elongated leaves cream, pink, green and purple of water. Short spikes of violet-blue flowers. Use: between the stones in the wall crevices in bordure.tout drained soil, slightly chilled.